Manchester is a city rich with history and culture. The Mancunians are proud of their heritage and the contribution their city has played in the development of the nation as a whole. They were the major hub for factories during the industrial revolution, which put pushed England towards the modern era ahead of its competitors at the time. Also, the city is the birthplace of many great artists and musicians and is home to two of the greatest football clubs in the world. There are many things that a proud Mancunian will love to get as a Christmas present. 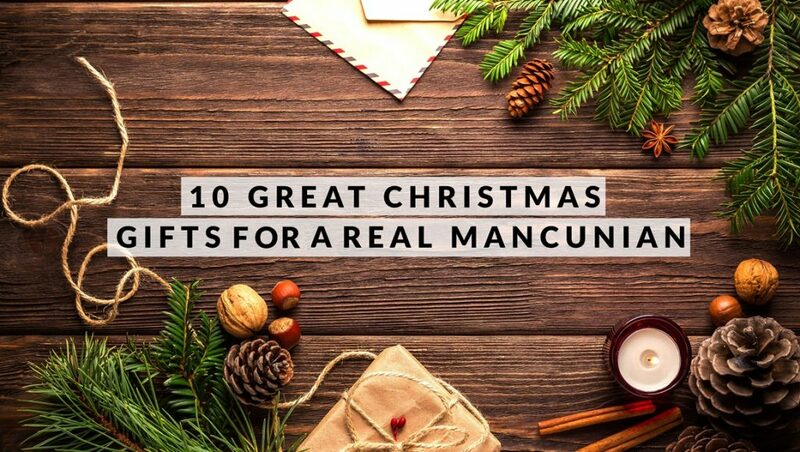 Here are the best 10 ideas for a Christmas gift that a Mancunian will love! Cornerhouse on Oxford Road is moving to Whitworth Street soon, but they still offer the same service. It’s a cinema and visual art museum. You can find anything from old, artsy, indie to blockbuster films. These are the types of films that you can’t find in a regular cinema elsewhere. Do you want Spaghetti Western? You got it. Niche movies with cult followers and Q&As with the filmmakers? No problem. This is the place where film lovers will truly appreciate, so why not give your film-nerd friend a membership card of this place? The nation’s favourite soap opera now comes in a 12-disc box set with a variety of perks inside. While Coronation Street might be in Salford, but the show was hugely popular in Manchester. The box set includes classic episodes from the past 50 years, behind the scene bloopers, Q&A with the production team, and more. For a true Coronation Street fan, this is exactly what they need for those cold, rainy winters at home. This is a book about how the famous club: The Haçienda, lost its prominence and became just an ordinary apartment block. It’s a story of triumph and failure, rise and fall of a great business that will captivate the reader with every page. Written by the co-owner Peter Hook, also the writer of Joy Division and New Order, it’s an unusual story and a one of a kind memoir. It’s a perfect gift for those who are looking for an interesting read about the part of the club business that you won’t get to see often. Most of the time, people who live in a certain city don’t know its history in depth, and the Mancunians aren’t immune from this fact. The aptly named The Little Book of Manchester is a pocket-sized history book that tells you all you need to know about the city. From the reign of the Roman Empire, the middle ages, the industrial revolution to the present day, it’s a full history of the region. You will find the stories of historical figures who shaped the city and the nation into what it is today. It’s a perfect gift for a Mancunian who’s looking to get in touch with their heritage and know more about where they came from. They won’t look at the city the same way after finishing this book. Lawrence Stephen Lowry is an artist from Stretford, Manchester renowned for his depiction of the Manchester and Salford areas. His works are displayed in the Manchester Art Gallery, as well as the cinema and art museum venue that was named after him; The L.S. Lowry. The L.S. Lowry Prints features some of his most famous works, like The Football Match, Coming Home From The Mill and Head Of A Man With Red Eyes and the famous 1954’s Piccadilly Gardens. It’s like a memoir in print form, dating from his earliest works to his latest. For a Mancunian who loves art and the work of L.S. Lowry, this is the gift to get. Manchester is, without a doubt, one of the most football-crazed cities in the world, and for good reason. Mancher United and Manchester City are two great clubs that have been competing at the biggest stages for decades. The book was printed in 2008, missing City’s highest point by a few years, but trace the history of the football clubs back to the 17th century. From the rise of the legendary Sir Alex Ferguson to all of the clubs’ biggest stars, this book provides the most comprehensive guide to the history of the sports in the area. It’s a perfect gift to get for a football lover, especially a fan of the Manchester’s clubs. Sometimes, an old photograph to reminisce the good old days can be the best thing one can have. It’s the precious memories of the past that doesn’t fail to make us smile, and this collection of photos is exactly that. Taken and curated by the Manchester native Kevin Cummins, this collection of the development of Manchester is a must have. Featuring shots of The Smiths, Happy Mondays, Oasis and more, along with texts contribution from Paul Morley, Gavin Martin, John Harris and other big names. It’s a gift that true Mancunian music fans will surely love. For someone who loves art, the Manchester Modernist Greeting Cards are perfect little gifts that they will surely appreciate. The set includes unique modern buildings like the Essoldo Cinema, Kendal Milne, Piccadilly Plaza and other quirky buildings around the Manchester area. Check out their website to see the full collection, along with other merchandise that a Mancunian art aficionado can’t afford to miss out on. 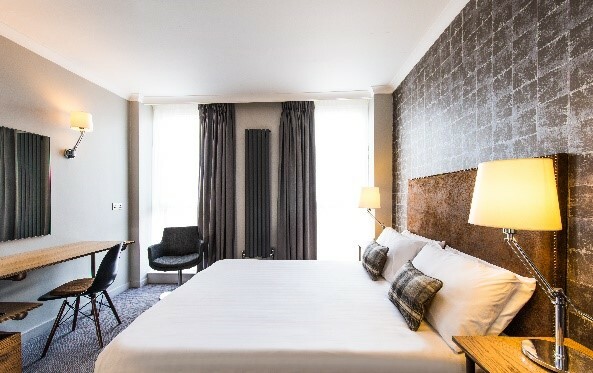 The Victoria Manchester is based in the centre of all the action, if you’re looking for a convenient, affordable hotel in Manchester – book your stay today! Nottingham is a famous tourist spot, probably one of the most famous in the UK. The city has a rich history and recreational activity centres and parks with unbelievable views. 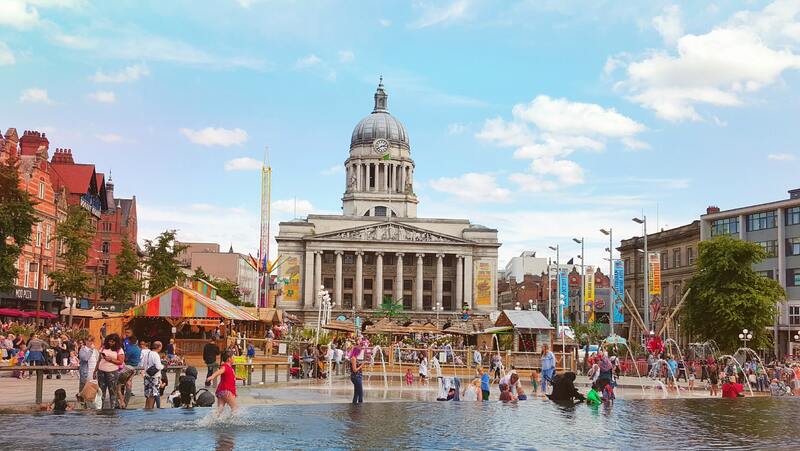 For those visiting the city and aren’t sure where to go, here are 9 things to do in Nottingham. The 17th-century ducal mansion is the Nottingham most visited landmark. Sitting atop the hill overlooking the city, you can enjoy a historical tour and the view simultaneously. Originally built in 1067 by Norman the Conqueror and then rebuilt by a series of other kings of the past, Nottingham Castle is embedded in history. It’s a more laid back tour than some other things you can do in the city, and it’s a nice change of pace from the bustling city. Whether you’re looking for designer clothes or jewellery, the Flying Horse Walk is more than likely to have them. For those looking to spend their afternoon shopping for boutique goods, perfumes or even lingerie, be sure to stop by at this venue. Plus, they also have an art gallery for those who aren’t looking to buy anything in particular and have a taste for art. The Nottingham Cathedral has been around for more than 150 years, and it’s still one of the most historically important landmarks in the city, along with the castle. The cathedral is beautifully built with its intricate architectural design. Also hosting a range of choirs, concerts and events, this ancient building is the perfect place for visitors to treat as a sanctuary, and as a place of tranquillity. Offering over eight kilometres of footpaths, grassland, conservation and landscaped areas for visitors, the park is ideal for joggers, dog walkers, cyclists, and those who wish to spot a bit of wildlife. It’s a beloved place among busy city-dwellers who are looking to take a breather away from the hectic city life. The park has a lake where the local swan hangout and the benches around the walking track provide the perfect spots to observe them from a safe distance. If you are into theatrical plays and performances, then you should look up the next event at the Nottingham Playhouse. The venue has hosted big names in all sorts of performance art. Dances, drama, comedy and concerts of all genres have been held in this storied hall. Opened in 1948, this impressive establishment is incredibly popular with tourists. Known as one of the region’s most popular landmarks due to its modern décor and sky mirror, Nottingham Playhouse is the ultimate place to visit for a night of brilliant entertainment. If you are looking for an adventure, then this is the right place for you, you adrenaline junkies. Offering an impressive variety of activities such as archery, quad biking, an assault course, jungle Olympics and even treasure hunts, you won’t spend a second standing around bored. Regardless of your age, Adrenalin Jungle has something you can enjoy. 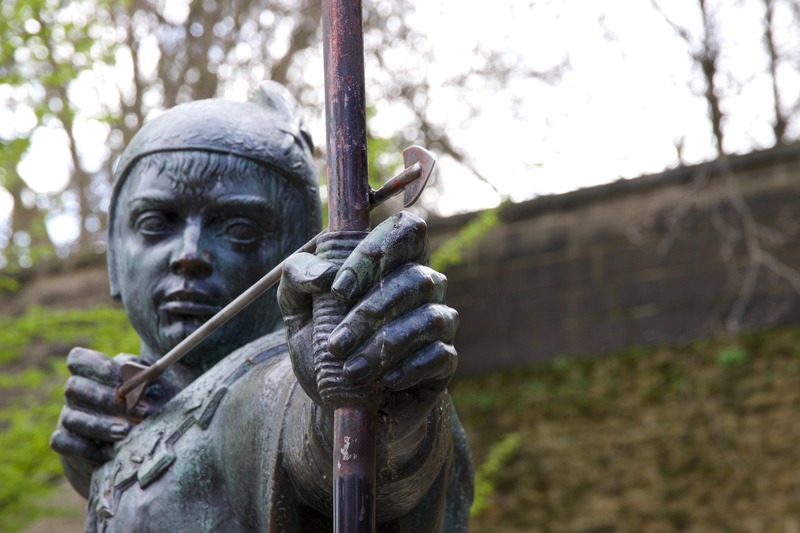 The famous Robin Hood character originated here in Nottingham, and he is still the reason why people come to the city. Nottingham Robin Hood Town Tour is an immensely popular tourist attraction. Offering visitors an outstanding and detailed insight into the life of the legendary Robin Hood, the trail takes visitors on a journey of historical discovery. Take a trip with your guide to the legendary cave systems where Robin Hood and his band supposedly hid and the famous Lace Market. Another cave systems lined with sandstone, these ancient caves are inspiring locations for tourists who are interested in the history of Nottingham. Tours of these caves are guided by actors and it’s the perfect opportunity to freely wander around the site with a wonderful audio guide. Promising to take tourists on an archaeological journey, the City of Caves is an essential place to visit for tourists hoping to learn a great deal more about the ancient city. Awarded the coveted Green Flag Award, this old park is the pride and joy of the people of Nottingham. There are over 800 trees in its property, which some are speculated to be as old as 200 years, along with lush garden and unique British woodlands. This is the perfect spot to spend your afternoon. You can take your family and pet to enjoy the beautiful scenery, fresh air and amazing views. Also, the ice cream shop here is incredible, so be sure to try it out. Lace Market Hotel is a luxury accommodation based in Nottingham, if you’re looking for a hotel in Nottingham, then we are the right place. Book today! 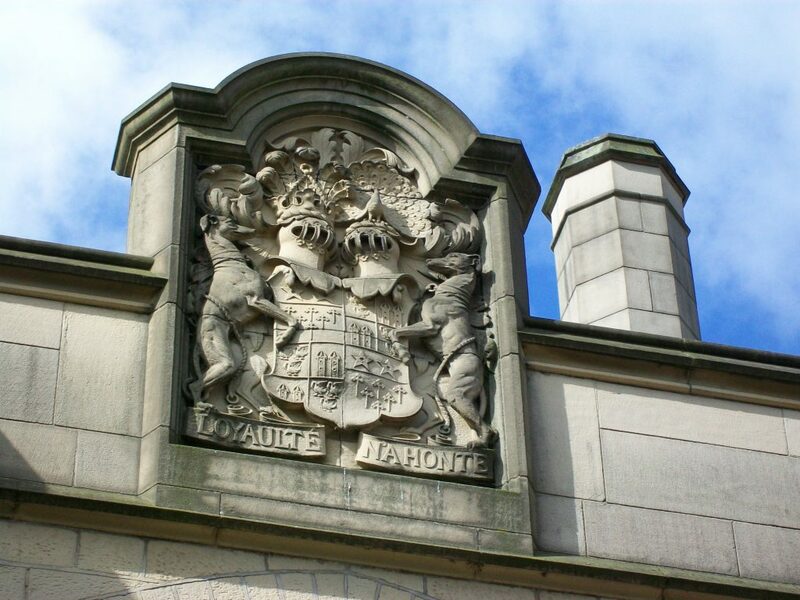 Nottingham has earned its fame mostly through legends and tales of old. However, it’s much more than a story. It is home to quite a few heritage buildings, memorials, and monuments. The most significant is definitely Nottingham Castle, though it has undergone renovation since being originally built. Even so, it’s a sight that you would hate to miss. 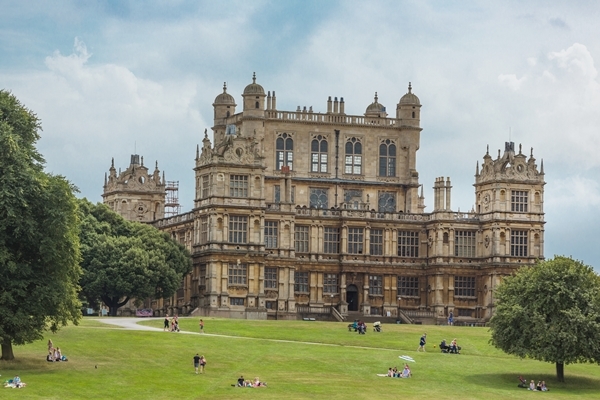 There are other great attractions to check out in Nottingham. The sandstone caves are a must, as is the Wollaton Hall. After you’ve seen the sights, what better to complete your trip than a bite and a drink at one of England’s most noteworthy pubs? Let’s take a look at each of these locations in detail. This magnificent estate was originally built hundreds of years ago. Near after the Civil War, it was knocked down and a replacement built around 250 years ago. It can be described as a classical ducal mansion. Since it is built on raised ground, it’s a fantastic place to take in unforgettable views. You can visit the cafe on one side of the castle, and enjoy some treats outdoors while taking in the city view. There’s even a museum and art gallery inside where you can learn about Nottingham’s fascinating background. The grounds are well-kept, with flowers, areas for picnics, and spaces for children to play. If you choose to venture down to the dungeons, you’ll get to visit King David’s dungeon, a wine cellar, and take your pick of the tunnels and caves they have opened to explore. Mortimer’s Hole is a good choice as it leads to the Brewhouse Yard. There are a number of sandstone caves and underground tunnels that run underneath Nottingham. People say that they have been there since medieval times. You don’t need to travel far to see these caves. In fact, all you’ve gone to do is make your way to the Broadmarch Shopping Centre, where there is an entrance to an old sandstone cave with cellars, an old air- raid shelter, a tannery, and even a representation of how old Victorian slums used to be. Wollaton Hall is a mere 5 kilometers away from the heart of the city, boasting magnificent architecture from five centuries ago. There are extensive plains, landscaped gardens, and even a museum of natural history. You can also visit the Courtyard Stables, which now is an art gallery and a steam engine house. There’s also an Industrial Museum where you can enjoy taking a peek at peculiar objects and things from long ago. This pub is lauded as one of England’s oldest and strangest establishments. It is walking distance from the Nottingham Castle, in Brewhouse Yard. In lieu of formal construction, this tavern was carved into the rock hundreds of years ago. You can enjoy ale or other English bites here, while sitting among the rock and dark wood, or should you choose, the outdoor seating. It’s a great chance to pick up souvenirs, too – they’re always being sold over the bar. If you’re looking for a convenient, central hotel in Nottingham – then look no further! The Lace Market hotel is situated in the city centre of Nottingham, making it easier & faster to get to the surrounding sites. Book or get in touch to see how we can help. Everyone knows about the University of Oxford, but significantly fewer know of the wonders of the beautiful city that is its host. 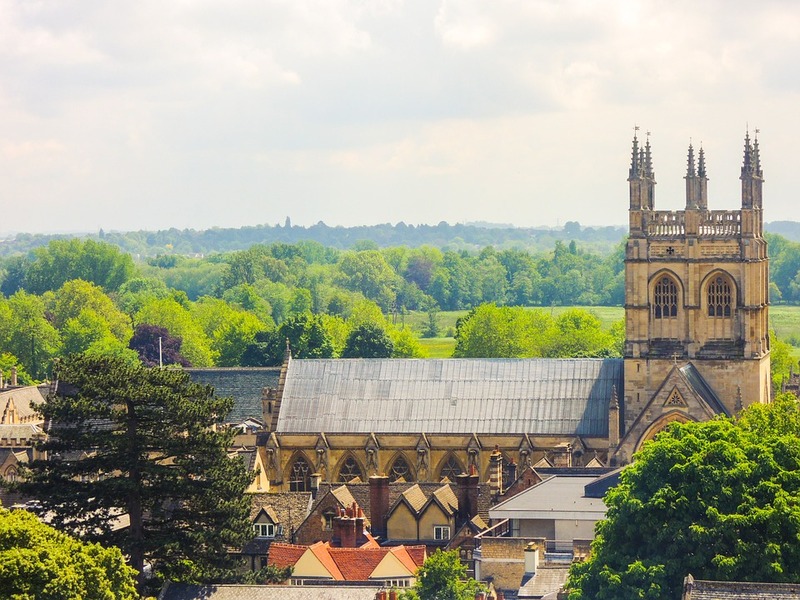 Oxford boasts magnificent architecture, splendid parks, and fascinating museums. It’s just an hour’s nap away from London! 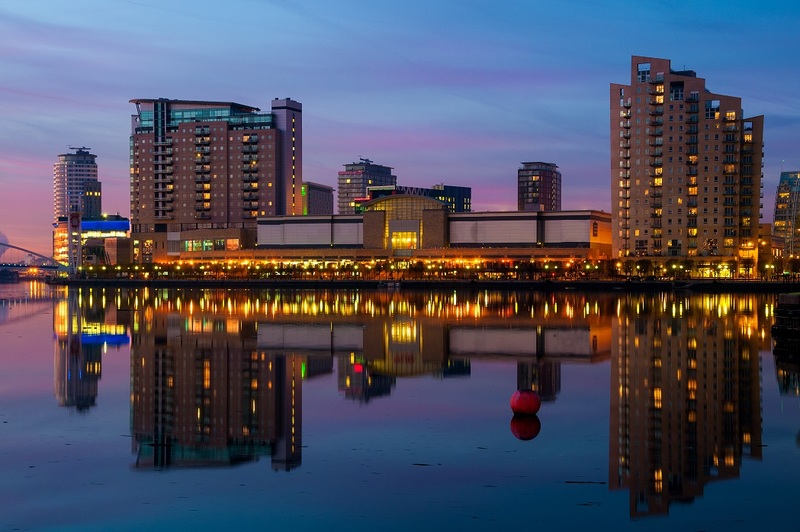 Here are some must-see places and things you have to do as you visit this great English city. The University of Oxford is without a doubt what the city is renowned for. You would certainly be missing out if you left without stopping by. There are 38 different colleges that together form the University, but each one has its own personality. There is amazing architecture all around that has been built over a range of eras, and you’re sure to enjoy taking it all in. If you’re a Harry Potter enthusiast, don’t miss Christ Church College, which served as sets for several scenes in the movies. Another great place you shouldn’t miss is Magdalen College, where Oscar Wilde was an alumnus. Port Meadow is a stretch of common land in Oxford. This means that any local can have their stock graze on that land, and people still do. Visitors probably aren’t as interested in bringing their cows here for lunch, so the other attraction is simply the fact that it’s a gorgeous place to spend a warm, breezy afternoon. The Thames runs alongside this spot of land, and even when is flooded by water, it still has a beautiful, ethereal sort of vibe. Oxford is known as “the city of dreaming spires” in honor of the beautiful architecture of the University. You shouldn’t miss the chance to get to the top of one of those spires. A great place is the University Church of St. Mary the Virgin. It sits right across the Radcliffe Camera in the middle of the city, meaning that you can enjoy unforgettable views at the top. You’ll have to get up 127 steps in an extremely narrow staircase to get to the top, but the view is definitely going to be worth it. It’s easy to spend an entire afternoon in the Pitt Rivers Museum. It’s located right behind the Oxford University Museum of Natural History, and has a great number of archaeological and cultural items from not only England, but all over the world. In a single afternoon, you can become an expert in Victorian artifacts, exploring the different objects organized by type. A huge portion of the collection is showcased in the museum, so although it is crowded, it gives off the vibe of a treasure trove just waiting to be explored. Not everything in Oxford is old. For something a little bit more modern, check out Modern Art Oxford, a stunning gallery full of contemporary art. There aren’t permanent masterpieces on display here, but there are temporary ones that rotate regularly. Stop by to be inspired by people like Yoko Ono or Sol Le Witt. There are often events held too, ranging from music concerts to film screenings. You may envision cruising through canals Venice on a gondola, but I’ll bet quite a few of you have never thought of cruising down rivers in Oxford! Punts are popular here, and it’s an exciting new way to get around the city. It can be pretty challenging to steer one yourself, so we recommend hiring one. The Magdalen Bridge Boathouse and Cherwell Boathouse are both great places to hitch a ride on one of these small, flat-bottomed vessels. Hawkwell House is a luxury boutique hotel based in the center of Oxford – an ideal place to stay for convenience & comfort. Book today! 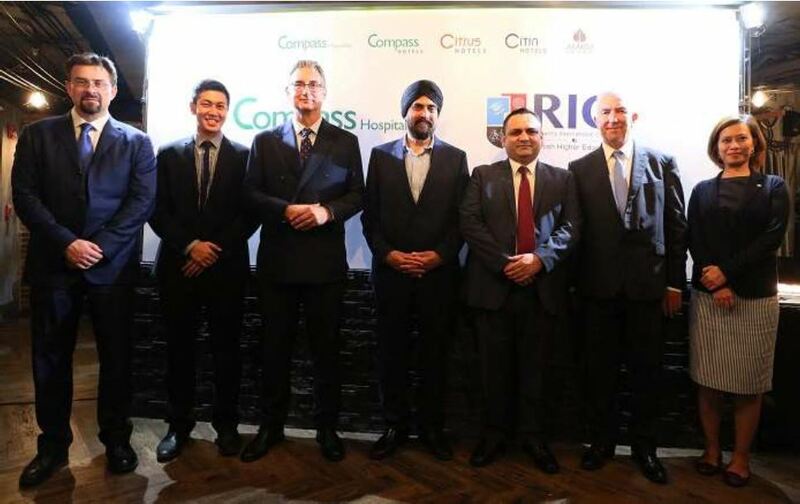 Bangkok, August 2018 – Chief Executive Officer of Compass Hospitality Mr. Harmil Singh and Executive Director of Regent’s International College (RIC) Mr. Nitin Dutta, along with Mr. Simon Young, Head BTEC Qualifications, signed an MOU of mutual cooperation for collaborating on the advancement of skill-based training in the Thai hospitality industry. Along with the rapidly expanding tourism sector in Thailand, the demand for skilled workforce in the hospitality sector has increased considerably over the recent years. Compass Hospitality has taken the lead to contribute towards the uplifting of the local workforce in the hospitality industry by providing skill-based training and qualifications together with UK’s largest vocational and professional qualifications provider BTEC. This initiative is based on a collaborative partnership with Regent’s International College, the official centre of UK BTEC Qualification in Thailand. The strategic move to further solidify RIC’s Hospitality Management courses comes after their successful partnership with the reputable University of London in 2016, which involves the provision of courses and academic direction by the London School of Economics and Political Science (LSE). The training programmes are set to commence within the last quarter of 2018 and will be offered to beginners and professionals already working in the industry. To accommodate varying levels of experience, RIC and Compass will offer everything from certificates to degree-level courses, with bespoke options available for senior company executives. The curriculums are international but will be adapted to the local context to ensure their relevance and effectiveness. 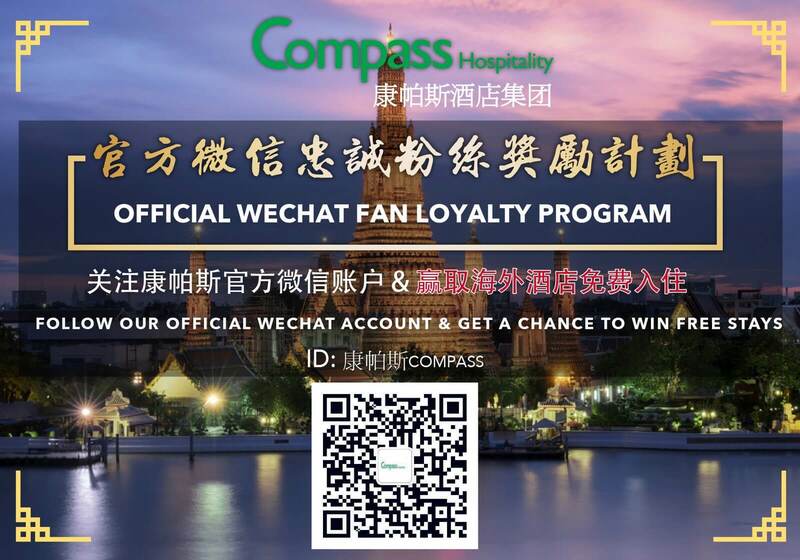 Headquartered in Bangkok, Compass Hospitality is one of Southeast Asia’s fastest-growing hospitality management companies which manages and operates a portfolio of 48 properties across all market segments. Following the rapid growth in Southeast Asia, Compass Hospitality expanded its presence into the European market in 2015 and has since built its portfolio to 16 hotels across the UK. With 4 distinctive brands, Compass, Citrus, Citin, Ananda, and alongside the Compass Collection which includes individually branded hotels and resorts, Compass manages and operates hotels, resorts, executive serviced apartments and spas located in Thailand, Malaysia, and the UK. Regent’s International College is the first authorized international college in Bangkok, Thailand to offer BTEC qualifications awarded by Edexcel and University of London international programmes led by the prestigious London School of Economics (LSE). RIC has been successfully conducting these courses for the past couple of years and has now opened Hospitality Management Courses. To enrich the learner experience RIC is forming partnerships with hospitality groups to create internship opportunities for their students. The Business and Technology Education Council (BTEC) is a provider (existing as part of Pearson Education Ltd.) of secondary school leaving qualifications and further education qualifications in England, Wales, and Northern Ireland. BTECs originated in 1984 and were awarded by Edexcel from 1996. Their origins lie in the Business Education Council, formed in 1974 to “rationalise and improve the relevance of sub-degree vocational education”. BTECs are designed as specialist work-related qualifications and are available in a range of sectors, such as business, engineering, hospitality and ICT. BTECs are available at different levels, from Entry Level Skills for Working Life, right through to professional qualifications at Level 7 (equivalent to postgraduate study). They also come in different sizes at each level ensuring you can choose a course that fits around your work or other studies. Many industry sectors have a set of National Occupational Standards that professionals must follow. The learning content of our BTECs is built around these National Occupational Standards, which is why BTECs are recognised as valuable qualifications by the Standard Setting Body (SSB) and/or Sector Skills Council (SSC) for each industry. 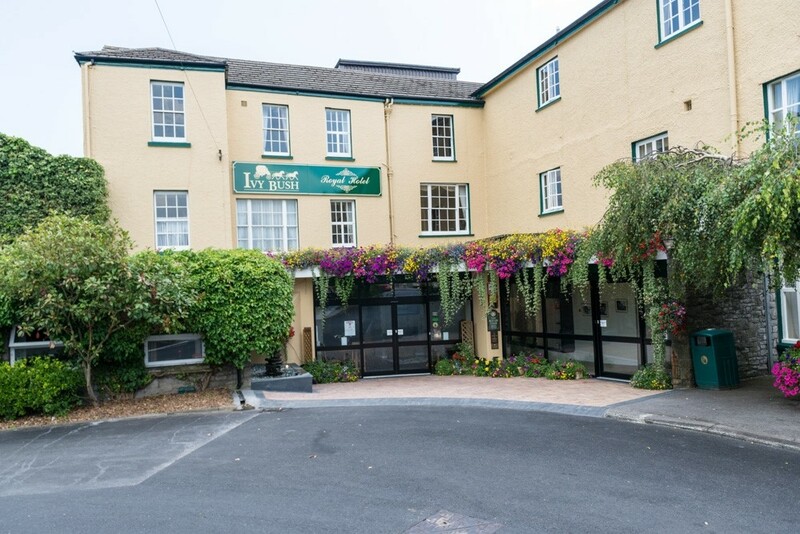 Midas Communications International Co, Ltd.
Bangkok, Aug 17, 2018 – In line with its sustained strategy of expansion plans within the UK, Compass Hospitality has once again joined hands with Singapore-based Seacare Hospitality to expand into Wales and Scotland with the acquisitions of The Ivy Bush Royal Hotel in Carmarthen, Wales and Best Western Station Hotel in Dumfries, Scotland. Both companies have previously partnered together for various acquisitions including the Big Sleep Hotels portfolio (now Citrus Hotels UK) and Best Western Queen’s Hotel in Dundee, with the latter being acquired in November 2017. With the addition of the properties in Carmarthen & Dumfries into the portfolio, Compass Hospitality now operates and manages 16 hotels across the UK since the company’s entry into the market in 2015. 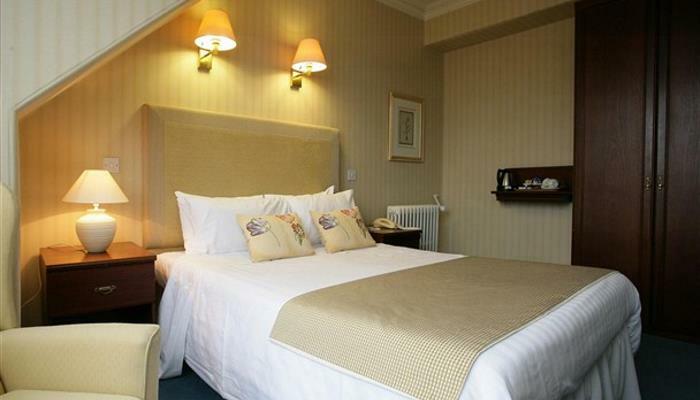 The Ivy Bush Royal Hotel dates from the 18th century and offers 70 en-suite bedrooms set within 1.5 acres. 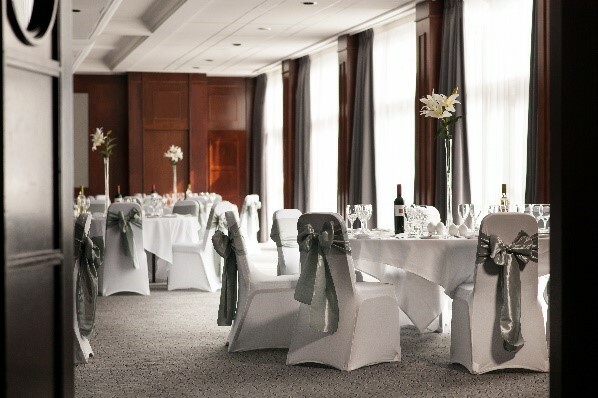 The hotel also includes a range of bar, restaurant and private function spaces, external dining trade areas, leisure facilities such as a gym and sauna, and ample private car park. The Best Western Station Hotel enjoys a prime location adjacent to Dumfries railway station, at the heart of the town. The traditional Victorian hotel houses 32 bedrooms, a courtyard bistro and a lounge bar overseeing a small landscaped garden, and three bespoke event venues. 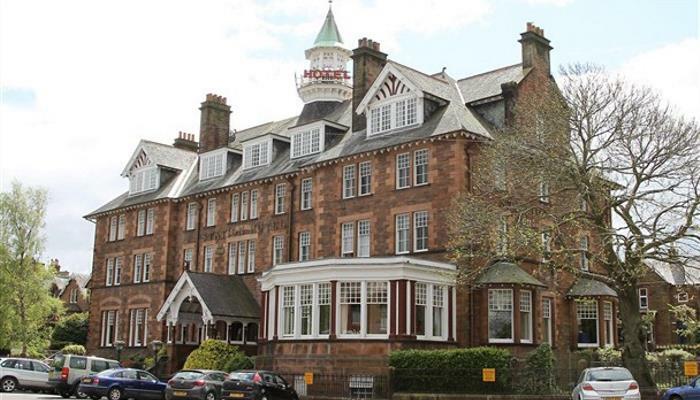 The hotel is well-established as one of the finest hotels in Dumfries and has undergone constant refurbishment programme. “The performance trends in Wales and Scotland are positive,” Seacare Hospitality Chief Executive Officer Lim Chye Teen commented. “Scotland, in particular, has outperformed the rest of the UK in terms of average profit conversion, underpinned by robust rate growth. We believe both regions are poised for further growth in the near future and we are confident to partner with Compass Hospitality in our properties”. 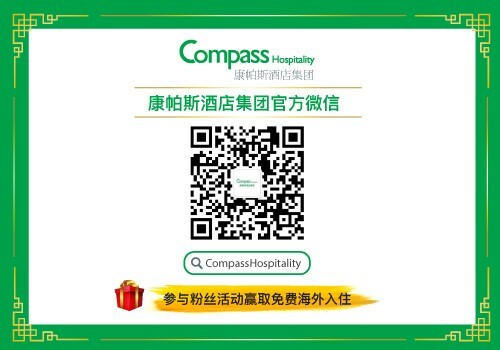 Compass Hospitality is one of Southeast Asia’s fastest-growing hospitality management companies, managing and operating a wide portfolio of 48 hospitality properties across all market segments. 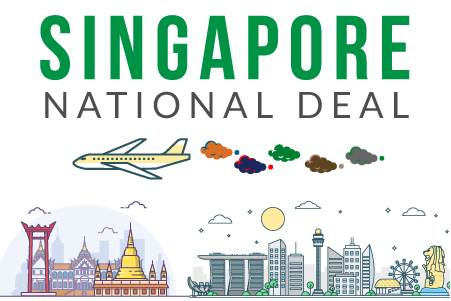 Following the rapid growth in Southeast Asia, we have expanded our presence into the European market in 2015 and have since built our portfolio to 16 hotels across the UK. UK hotels operated by Compass Hospitality are located in Glasgow, Manchester, Leeds, Cardiff, Nottingham, Cheltenham, Oxford, Shrewsbury, Halifax, Eastbourne, Inverness, Coventry, Scarborough, Dundee, Carmarthen and Dumfries. With 4 distinctive brands, Compass, Citrus, Citin, Ananda, and alongside our Compass Collection which includes individually branded hotels and resorts, Compass manages and operates hotels, resorts, executive serviced apartments and spas located in Thailand, Malaysia, and the UK. Happy National Holiday , Dear Singaporean ! We have prepared a Q&A Free Night Winning Campaign to celebrate for this festival ! Join us and Win https://www.facebook.com/CompassHospitality/! Thailand is known as the land of smile and takes a look at what you can do in Bangkok, a city which offers you a fascinating, exciting and incredible experiences in your travel journey. Like many other capital cities Bangkok never goes to sleep, there is always a hive of activity as people work around the clock in their various professions. With eight million inhabitants living within the city you will find yourself encountering every walk of life, from the super poor to the mega-rich they all congregate in the one city and each feels at home as the other. Of all the places to visit in Bangkok, the Grand Palace is the most famous attraction there is. You simply cannot move onto another city until you have taken the time to visit here. The palace at one time was the king’s home as well as the place where the government of Thailand carried out their work. A trip to the palace can take many hours as there are over 214,000 sq. meters to cover. Be aware of potential scams when outside the palace and only pay the entrance fee when you are actually going in. There is only one way to get around Bangkok at any speed whilst keeping cool and that is to jump aboard one of the sky trains. With air-conditioned carriages, there is no better way to get around. In most instances, you are high above the traffic below giving you a view of the city but also the train takes the most direct route. With nearly every part of Bangkok, you would want to visit having a train station, travel could not be simpler. Sky Train travel is included in the Bangkok City Pass. The new Rot Fai Market in the Ratchada area of Bangkok is bringing the same convivial night bazaar feel, antiques curios, and street food snacks and treats from its original location, into an area of the city that is much easier to access thanks to the nearby Cultural Centre MRT Underground Station. Although the Srinakarin branch is much larger, it is also way out in the suburbs of Bangkok, making it challenging for people who find themselves on the other side of the city. This new Train Market is more central and compact, meaning it’s easier to pop in for a spot of browsing anytime from 18:00 to 24:00, Thursday to Sunday. The high-end shopper’s paradise, a hugely popular shopping mall that houses many different shops for high-end fashion designers, Southeast Asia’s largest aquarium, a huge multiplex cinema and enough restaurants to feed you for a lifetime. 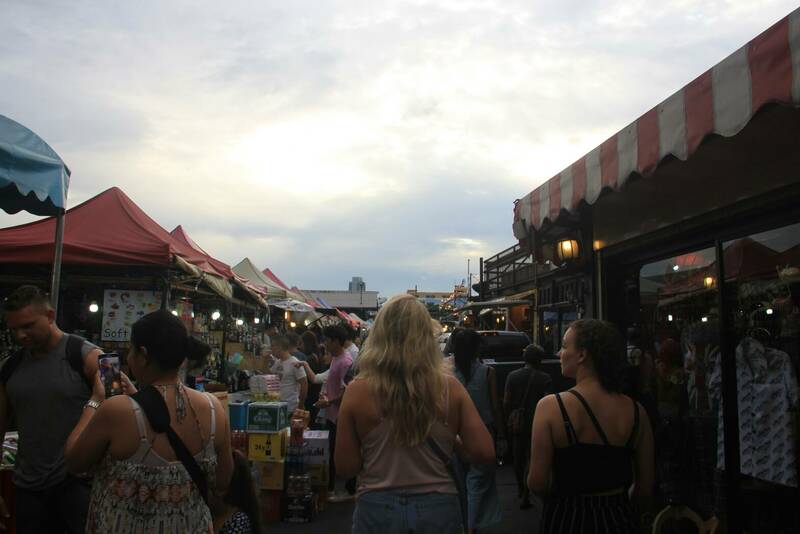 There are over 250 shops inside the mall, most of which are frequented by the well-heeled Thai’s and foreigners. Various car manufacturers including Ferrari and Lamborghini also have showrooms within the complex so if you have deep pockets you are sure to find what you are looking for. At over 500,000 sq. meters Lumpini Park providers the people of Bangkok with a much-needed break from the hustle and bustle of the city. The name of the park originated from the Lord Buddha who was born in Nepal. It is not unusual when you walk through the park to see the older Thai generation practising their Thai Chi or a romantic couple relaxing by the side of the lake. At the weekends the park is full of people taking part in all sorts of activities so a great time to go is early morning or just before sunset. 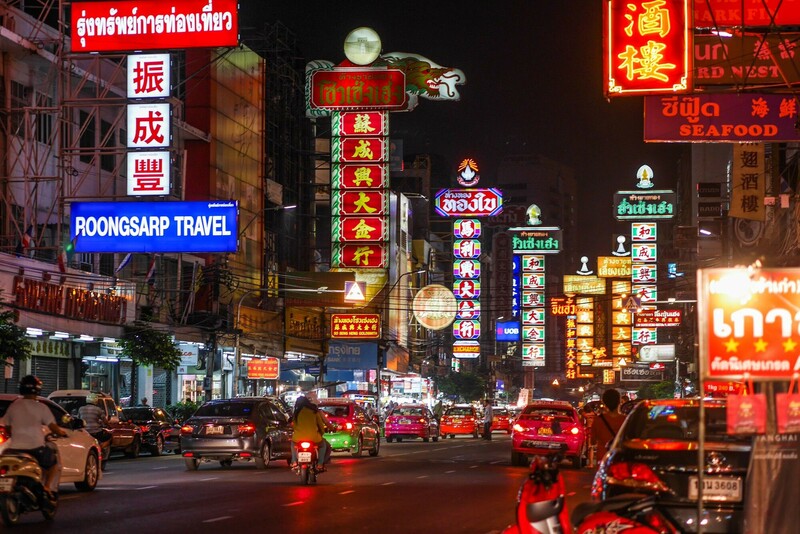 Bangkok is famous for its nightlife scene and grown pretty big over the years. There’s exciting nightclubs, amazing rooftop bars, hip cocktail bars and much more. There’s the adult-themed Soi Cowboy and Patpong, the party scene at Khao San Road and lot’s of clubs to dance the night away. Want to party with like-minded travellers? There are quite a few of arts events happening around.one of these was found in the jem factory named “Dear Darkness”. It is an event to raise the awareness of epilepsy. The artist is suffering from this sickness, a neurological disorder marked by sudden recurrent episodes of sensory disturbance, loss of consciousness, or convulsions, associated with abnormal electrical activity in the brain. It’s an impressive piece of artworks he created which lead us into his world to experience how it’s like of having epilepsy. Vimanmek Mnsion known as Largest golden teak wood building in the world Largest golden teak wood building in the world. A great way to get an idea of how the Thai Royals lived is to visit the Vimanmek Palace in Dusit district in Bangkok. The Palace was constructed in its current location in the year 1900 by King Chulalongkorn (Rama V). Originally, the Palace was constructed as a Summer Palace on the island of Koh Sichang in the Gulf of Thailand in Chonburi Province, where King Mongkut and King Chulalongkorn used to come to enjoy a holiday. In 1900, the Palace was dismantled and rebuilt as Vimanmek Mansion in its current location in Dusit district in Bangkok. The Palace, which is also known as Vimanmek Mansion, is the largest golden teak wood building in the world and was built without using a single nail. Vimanmek Palace was built in European style using Thai construction methods. Yaowarat Road, also known as Chinatown Bangkok, is the home of Bangkok’s Chinese community. By day, it doesn’t look any different from other parts of Bangkok, but this big street has some hidden gems waiting to be explored. When night falls, the neon signs blazing with Chinese characters are turned on and many eateries spill out onto the streets filled with foodies. 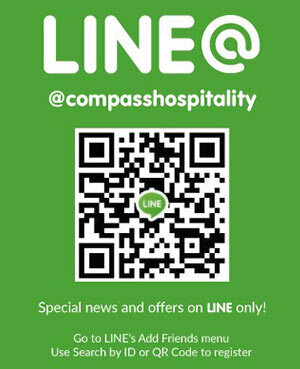 Book With Compass Hospitality & Enjoy a valuable stay in your August Trip! What city has beautiful architecture, loads of culture, and plays host to perhaps the most renowned football club on earth? That’s right – Manchester! No matter who you are or what you are interested in, there’s something for you to enjoy in this amazing city. With bright street art, small shops, and local bars with a lot of personalities, the Northern Quarter is often regarded as the trendiest neighborhood in Manchester. However, it definitely isn’t the only one! Right by the Northern Quarter is Ancoats, home to a number of restaurants and cafes as well as great shopping options. Just a short distance away is the slightly wilder Chorlton, busy West Didsbury, and the food center Altrincham. At night, Manchester takes on a different persona. If you enjoy the nightlife, you’ll enjoy a night out in the city for a great party. Set course for the Northern Quarter if you want some good craft beer or a creative mixed drink in a local bar. If you want a slightly classier experience, opt for Spinningfields instead. Grabbing a quick meal always turns into a culinary experience in Manchester. If you’re craving Indian, Thai, or Vietnamese, Manchester has got you covered. You don’t always have to dine in fancy restaurants – there are markets and other small food establishments that you can try if you want a more laid-back vibe. Don’t forget to take a trip to Altrincham market to enjoy a memorable foodie experience. Manchester isn’t just grey streets and rain – there are plenty of gorgeous landscape views to take in. From moors and coastlines to majestic woodlands, a short drive is all you need to take a pleasant hike and grace your eyes with the amazing view. The people of Manchester are affable, and most will be more than happy to lend you a hand or strike up a conversation. You’ll make friends, although you should probably avoid asking whether they are fans of United or City. Even if you aren’t a Manchester United fan, it is clear that they are one of the most renowned football clubs on earth. Mancunians are well acquainted with this team being mentioned as soon as they say they hail from Manchester. The National Football Museum is currently located in Manchester – we highly recommend football aficionados to stop by. 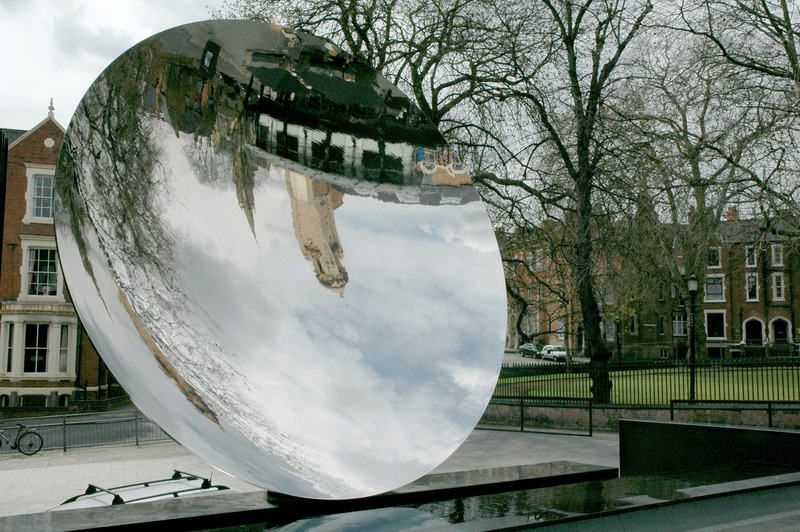 You don’t need to hit up the capital for a dose of art. 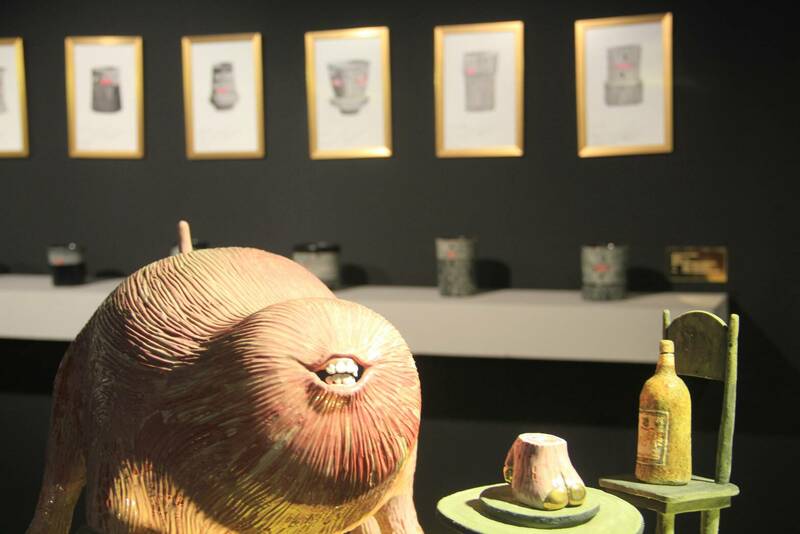 Manchester hosts quite a number of small, independent exhibits, showrooms, and other events. Besides that, Manchester also hosts Whitworth Gallery. This acclaimed hall includes pieces by prominent artists such as Andy Warhol and Cornelia Parker. Whether you enjoy older tunes or more recent jams, there are a great many options for music enthusiasts. You can enjoy smaller, local venues, or magnificent halls (The Albert Hall, for instance) depending on your preference. Manchester’s Christmas markets are as festive as ever. Despite the overpriced trinkets and hordes of people, there’s nothing better during the holiday season than a cup of mulled wine, with some holiday pastries and the people you love around you. How does this campaign work? First Phase (14th June to 28th June): Just make a correct prediction on the results on the round robin or group stage game of the world cup 2018 & get chance to win our exclusive dining gift in Hotels in Thailand, Malaysia & UK. 3 winners would be selected per game. Second Phase (30th June to 7th July): Just make a correct scoreline prediction on the results on Round of 16 Stage & Quarter Final games of the world cup 2018 & get chance to win our exclusive dining gift & exclusive room discount. 5 winners would be selected per game. Third Phase (10th July to 14th July): Just make a correct scoreline prediction on the results on Semi Final & Third Place game of the world cup 2018 & get chance to win our exclusive dining gift & exclusive room discount. 5 winners would be selected per game. Final Phase (15th July): Just make a correct scoreline prediction on the results on Semi Final & Third Place game of the world cup 2018 & get a chance to win our exclusive dining gift & free night. 10 winners would be selected per game. How to Play this Campaign? First Phase: Tag one of your friend along with the predicted result of the game plus hashtag destination & compass dining in the comment section of our Facebook post. 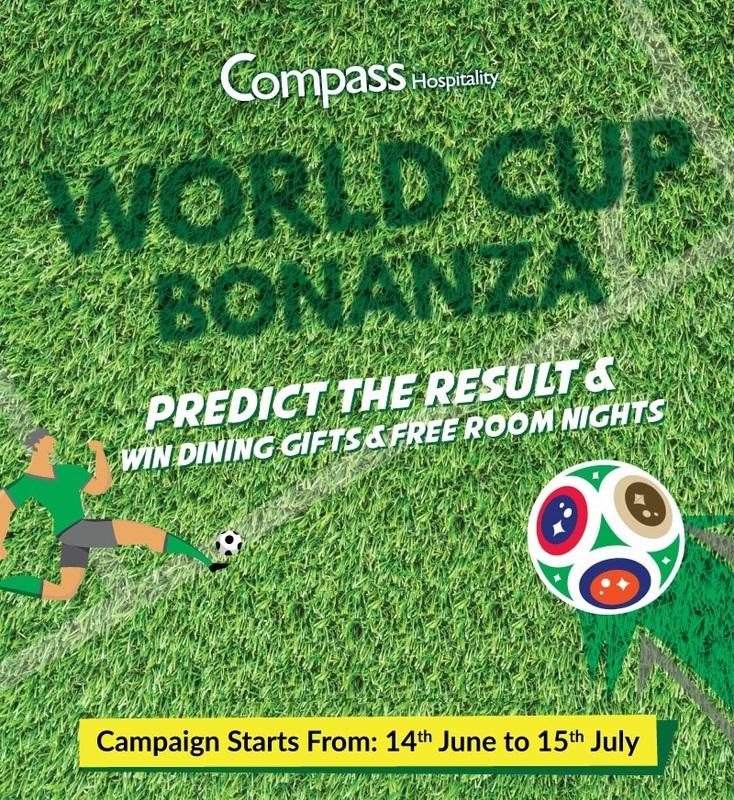 Remaining Phases: Tag one of your friend along with the predicted scoreline of the game plus hashtag destination & compass dining/ compass hotels as per your desire to win dining or room prize in the comment section. **Prediction is to be made on first 90-minute score only. In case of the game going to extra time or penalty than your prediction on winner & scoreline of first 90 minutes is only required. Here is the list of participating hotels & amazing prizes that are in store for you. All F&B prizes are valid from till 30th August & all winner would be hand e-voucher or special code that needs to be presented on the venue. Campaign post would be made on the day of match & contest would end before the start of the game of each day. 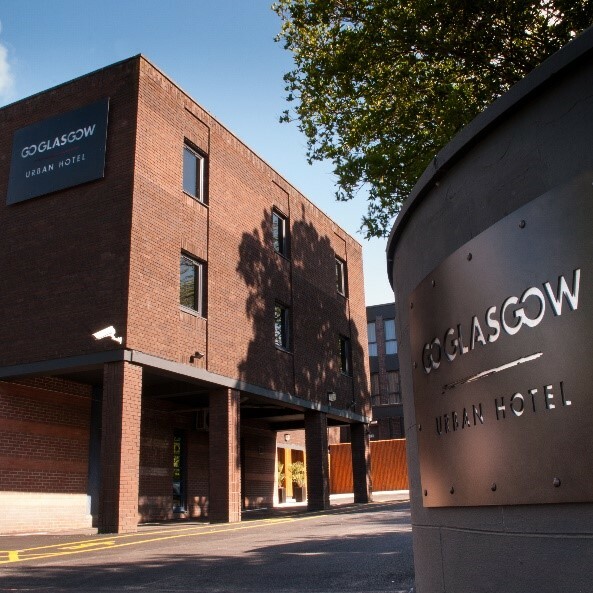 Bangkok, May 16, 2018 – Compass Hospitality is set to expand its management portfolio with the signing of GoGlasgow Urban Hotel in Glasgow, Scotland. The addition of the hotel into the portfolio solidifies the company’s sustained strategy of a wider expansion push across the UK, making the hotel as its 14th property under management in the UK since the company’s expansion into the market in 2015. 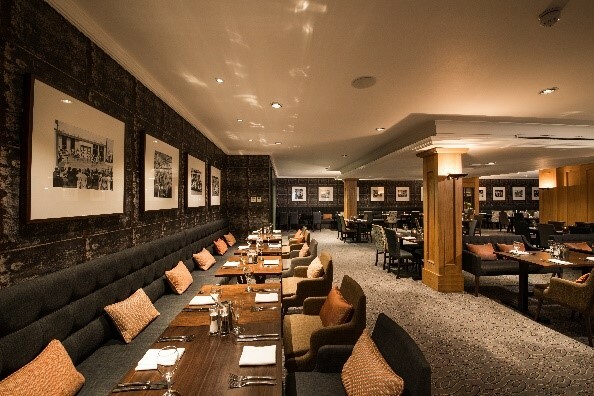 Conveniently situated in the vicinity of the Ibrox Stadium, Scotland’s third largest football stadium and home base of Glasgow’s Ranger FC, the hotel boasts 117 bedrooms, the GoGrill all-day-dining restaurant, and two large bespoke event rooms with a total capacity of 350 guests. The hotel also benefits from easy access to Scotland’s largest exhibition center, the Scottish Event Campus (“SEC”), which includes the SEC Center, SEC Armadillo and SSE Hydro. 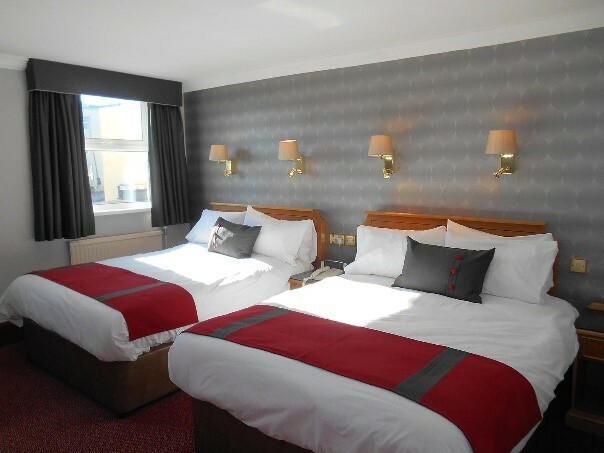 The hotel underwent comprehensive refurbishment in late 2015 and is a popular destination for sports travelers in Scotland’s most populous city. Compass Hospitality is one of Southeast Asia’s fastest-growing hospitality management companies, managing and operating a wide portfolio of 45 hospitality properties across all market segments. Following the rapid growth in Southeast Asia, we have expanded our presence into the European market in 2015 and has since built our portfolio to 14 hotels across the UK. UK hotels operated by Compass Hospitality are located in Glasgow, Manchester, Leeds, Cardiff, Nottingham, Cheltenham, Oxford, Shrewsbury, Halifax, Eastbourne, Inverness, Coventry, Scarborough and Dundee. With 4 distinctive brands, Compass, Citrus, Citin, Ananda and alongside our Compass Collection which includes individually branded hotels and resorts, Compass manages and operates hotels, resorts, executive serviced apartments and spas located in Thailand, Malaysia, and the UK.